SUNNYVALE, CA--(Marketwired - Apr 7, 2015) - RedSeal (redseal.co), the cybersecurity certification company, today announced a major re-launch of the company with $17 million in Series C funding from new and existing investors, the formation of an expanded management team with blue-chip experience, and a slate of new technologies and services. The new RedSeal security analytics platform provides intelligence to protect critical network assets, and accommodates emerging Cloud and mobile technologies. "RedSeal has built its reputation in the market through innovation and customer results. Now we have the ability to build on that momentum and pursue new opportunities in new markets," said Chairman and CEO Ray Rothrock. "This additional funding enables us to increase our engineering capabilities and expand our footprint both domestically and overseas. We're privileged that these investors share our vision of enhanced security through visibility that provides insight into all possible network paths, and helps executives easily understand how disparate solutions are working together -- or not -- to protect digital assets and infrastructure." Tyco: The world's largest pure-play fire protection and security company, with more than $10 billion in revenue, three million customers around the globe, and operations in more than 900 locations across 50 countries. "Security is core to our business, and we understand the importance of physical security and cybersecurity," said Nick Nedostup, Chief Information Security Officer at Tyco. "We recognize RedSeal and its new management team as leaders in cybersecurity, and we believe RedSeal will extend that leadership in this dynamic and fast-growing market." MATH Venture Partners: A Chicago-based technology investment firm. "Companies need full visibility and context to harden their networks and respond effectively to breaches," said Mark Achler, Managing Director. "This missing element in most companies' cyberdefenses is exactly the gap that RedSeal fills." Additional new investors: Pallasite Ventures, DRW, and others. Existing investors: Venrock, Sutter Hill, Icon Ventures, Leapfrog, and Olympic Ventures also participated. CEO Ray Rothrock: "I've been in the cybersecurity field for 22 years, and as an investor I've been involved with 18 security startups," Mr. Rothrock noted. "The essence of a good company, especially in the ever-changing field of technology, is to provide innovative solutions that meet not only the current market needs but those that are still over the horizon. I'm proud to say that RedSeal exceeds that high bar, and that's why I'm so committed to its future." Many companies now face network complexity that far exceeds their ability to effectively understand and manage. Moreover, most organizations have operating siloes that create security gaps as disconnected groups handle different aspects of networking and security. At the same time, disparate point products don't work together, different devices don't talk to one another, and different monitoring and reporting products don't communicate at all. The new RedSeal security platform provides intelligence that protects critical data, accommodates emerging cloud and mobile technologies, and limits damage not only within a targeted network but also within connected infrastructures such as the Cloud. RedSeal's advanced analytics engine creates a functioning model of your network, tests your network to identify security risks, prioritizes needed actions, and gives you critical information to quickly remediate issues. The result: reduced cybersecurity risk and lower maintenance and incident response costs. Specific customer benefits include the ability to see their networks "as-built" (rather than as "wishing it was built"), fix their most critical security issues first, accelerate incident response, and understand the security impact of changes to the network. RedSeal evaluates the largest networks in the world. Provides enhanced visibility and intelligence, enabling the security team to see broadly and deeply into the entire network, including all ingress paths an attacker can take and potential data egress paths. Identifies areas where other security products are not installed optimally or have misconfigurations that can take them out of compliance. Both of these issues can become serious liabilities. Offers actionable information that prioritizes recommended remediation or fixes, enabling solid network awareness, proactive defense and rapid incident response. Today, more than 200 corporations and government agencies worldwide have 'RedSealed' their networks. RedSeal is used in many large US federal agencies, including the Department of Defense, civilian and intelligence communities. The company's commercial customers span the finance, utilities, service provider, technology and retail sectors. RedSeal's newly expanded platform incorporates a transformational and innovative architecture designed to address not only existing threat vectors but also emerging cloud and mobile technologies. Organizations can have a unified view of their entire network -- from the cloud to on-premise devices -- and visibility from the application to the network layer. Cloud connectivity: Offering the same detailed visibility into virtual networks, RedSeal enables organizations to verify and optimize the security settings of private and public cloud deployments (including Amazon Web Services and VMware vShield). Faster incident response with Layer 2 discovery: Organizations now have visibility through the network layers. They can identify and prioritize exposed assets after a breach and isolate affected hosts quickly. One source for understanding overall network security and resilience with smartphone application and control center: The smartphone app provides an executive view of an organization's network security, and a security score based upon current data analytics. It also provides trend data. This lets managers instantly understand how the network is doing, receive status updates on any changes in their security posture, and look at trends. The control center provides a broader and deeper summary with easily accessed detail. Policy template manager: This adds a policy template library for shared and custom templates. It features updated policy templates for specific regulations and allows organizations to create custom policy templates. IPv6 reporting: This detects the use of IPv6 on the network and creates an inventory of IPv6 address usage. Plugin development tools: Plugins provide for rapid integration of network devices, physical and virtual. Consulting engineering teams and channel partners can more easily create plugins for network devices that are not currently supported in the RedSeal plugin bundle. 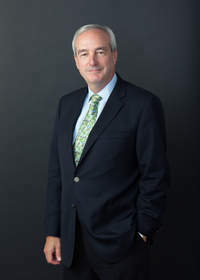 Ray Rothrock, Chairman and CEO: Before joining RedSeal as CEO in February 2014, Ray was a general partner at Venrock, one of the founding investors of RedSeal. While there he invested in 53 companies, including more than a dozen in cyber security. He is currently on the board of Check Point Software Technology, Ltd., an original Venrock investment, and Team8, both Tel Aviv-based companies. A thought leader in cybersecurity and longtime investor in the sector, he was a participant in the White House Cybersecurity Summit held at Stanford University February 2015. Ray holds a BS in Nuclear Engineering from Texas A & M University, a MS in Nuclear Engineering from the Massachusetts Institute of Technology, and an MBA with Distinction from the Harvard Business School. He is a member of the Corporation Board of the Massachusetts Institute of Technology. Pete Sinclair, COO: Pete joined RedSeal as COO in February 2014. He also serves as managing partner at LeapFrog Ventures, one of RedSeal's initial investors. Pete has guided RedSeal as an investor and board member since its founding in 2004. He has more than 20 years of operating experience and 15 years of VC experience. He previously worked with several successful companies, two of which went public and others that were acquired by Microsoft and Adobe. He began his career with Hewlett-Packard and joined Apple when it was still a small private company. Pete has a BS in engineering from the Massachusetts Institute of Technology, and is a graduate of Stanford Business School's Executive Program for Small Company Presidents. He twice served as mayor of the Town of Woodside. Dr. Mike Lloyd, CTO: With more than 25 years' experience in the modeling and control of fast-moving systems, Mike has been granted 21 patents in security, network assessment, and dynamic network control. Before joining RedSeal, he was CTO of RouteScience Technologies (acquired by Avaya), where he pioneered self-optimizing networks. He also served as principal architect at Cisco on the technology used to overlay MPLS VPN services across service provider backbones. He joined Cisco through the acquisition of Netsys Technologies, where he was the senior network modeling engineer. Mike has a degree in mathematics from Trinity College, Ireland, and a PhD in stochastic epidemic modeling from Heriot-Watt University, Edinburgh, Scotland. Cisco's Chief Security and Trust Officer, John Stewart, said, "The network is the lifeblood between IT systems and the key security layer in IT. It should come as no surprise that our adversaries won't hesitate to attack the network itself to siphon data, disrupt services, or change the configuration for their own gain. Central to effective cybersecurity is knowing that network infrastructure, and having a deep understanding of how it works, how safely configured it is, and what changes are made day to day." RedSeal is available immediately and is priced based on the number of customer network devices, with discounts offered for larger networks. RedSeal provides a cybersecurity analytics platform to Global 2000 organizations that certifies their evolving networks are secure and accelerates compliance initiatives. RedSeal's advanced analytics engine creates functioning network models, tests networks to identify security risks, prioritizes needed actions, and provides critical information to quickly remediate issues. The result: reduced cybersecurity risk and lower incident response and maintenance costs. With operations in North America, Europe, and Asia, RedSeal customers include leaders in finance, retail, technology, utilities, service providers, and government, all served by RedSeal's channel partner network. Visit https://redseal.co/ or call 1-888.845.8169 for more information.